I've just realized that the illustration on the front cover is  the same as the printed paste-on label on the slipcase. 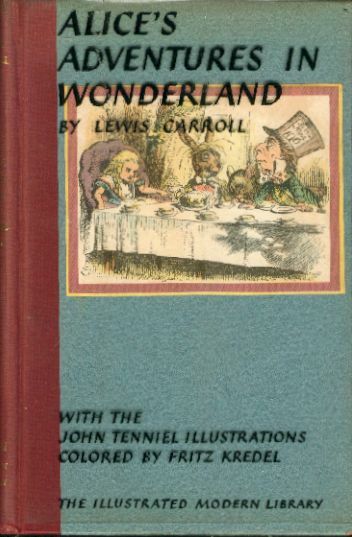 The ML must have secured some left-over copies of the printed label and clipped the illustration along with the reddish border to use on copies of the Illustrated Alice when they ran out of the new printed sheets they'd printed. 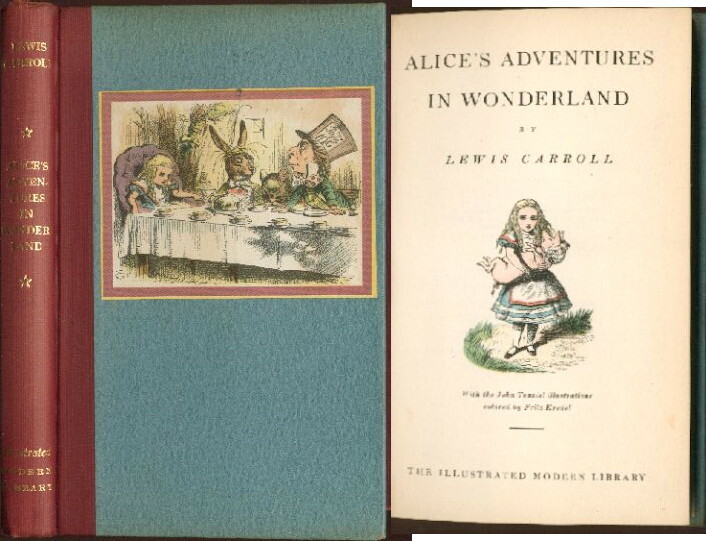 >Subject: [ModLib] Illustrated Alice with alternate cover? >What do you think? I've never seen this before. >> show. Is it a later printing or edition?" >"What if this weren't a hypothetical question?"